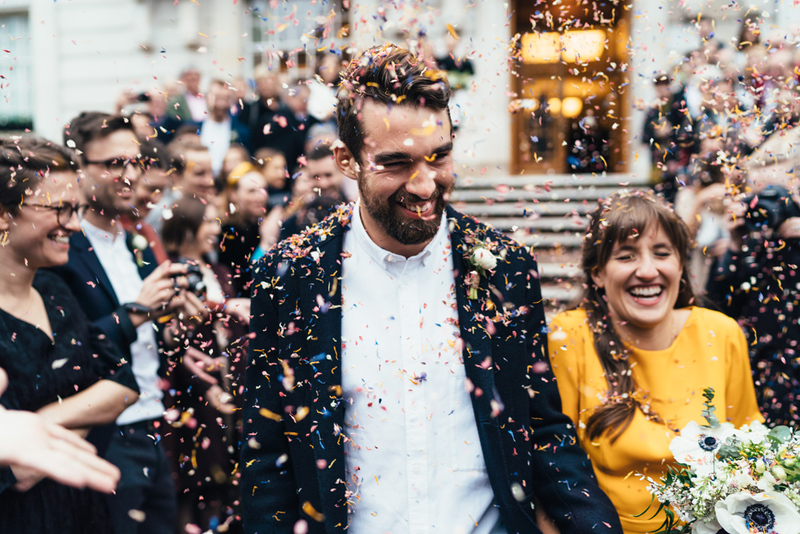 After eloping in Hackney a year ago, Isobel & Angus travelled all the way from San Francisco to have a proper wedding celebration in East London with all their friends & family. 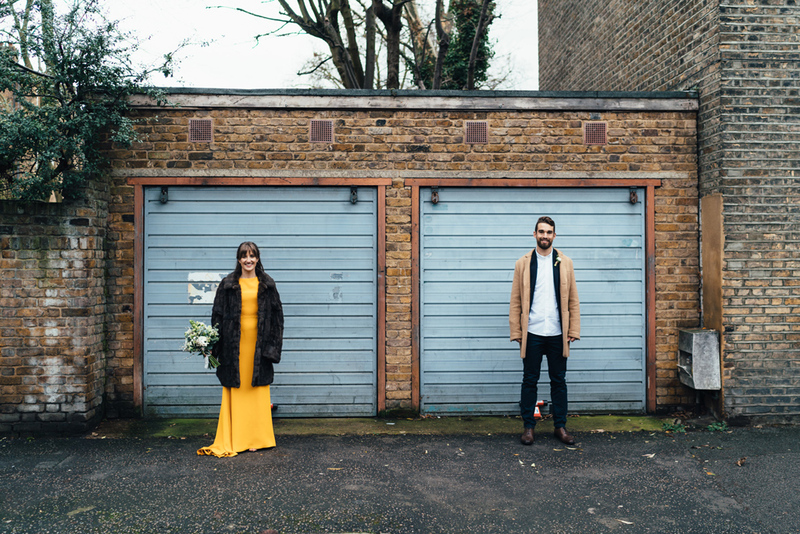 They met for their first look at a pub on Forest Road then walked to the Town Hall together. 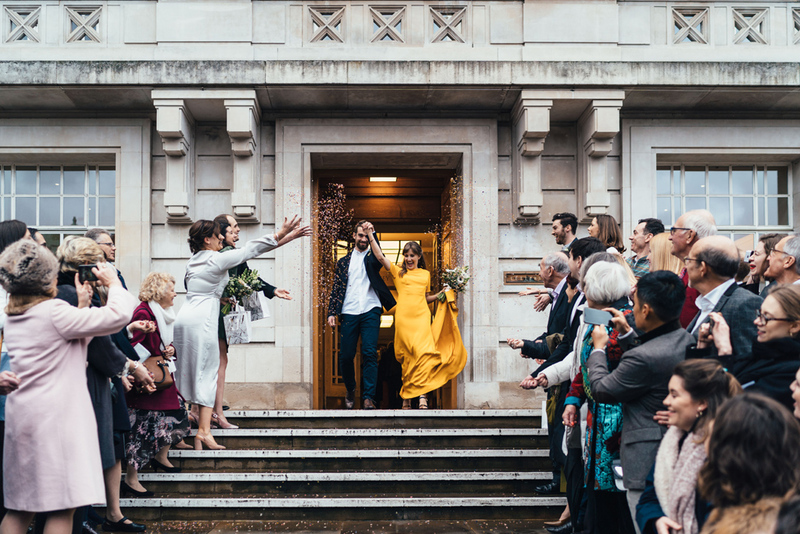 They were married in the Atria at Hackney Town Hall, a new space filled with light even on a winters day in January. 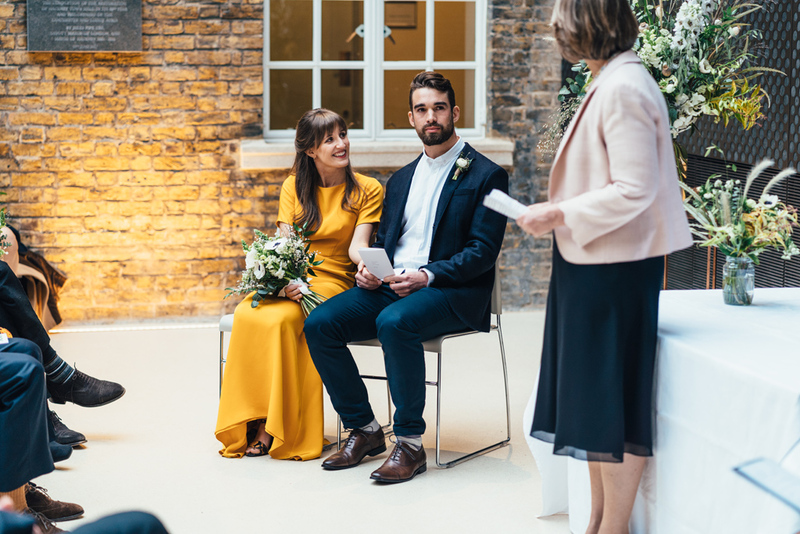 After a trip on a traditional red routemaster bus they celebrated late into the night in the West Reservoir Centre, a modern venue with a light industrial vibe. 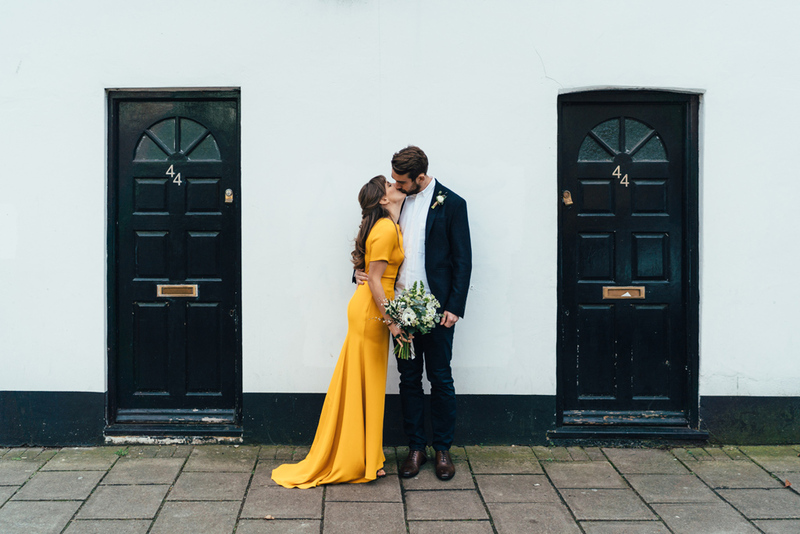 I loved Isobel’s style, she wore the most amazing bright yellow gown by Sarah Seven with gold flecked heels from Other Stories & a bouquet filled with anemones by Grace & Thorn. 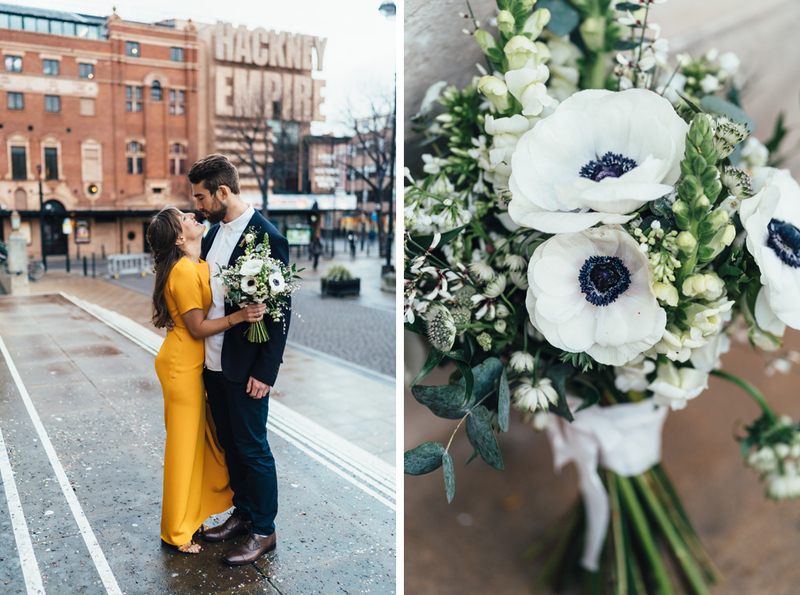 Here are a few previews from Isobel & Angus’ modern East London wedding at Hackney Town Hall & West Reservoir Centre. Lovely work. What a wedding dress!! So these guys looked amazing! That dress is pretty much the best. 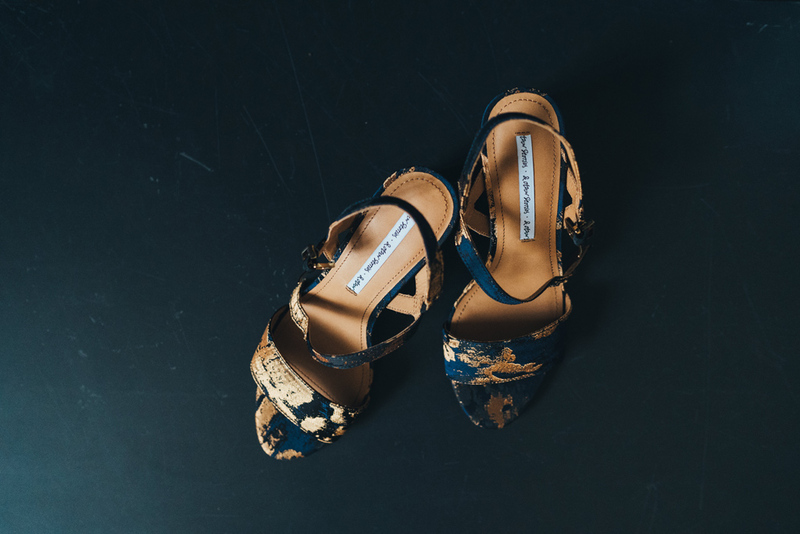 Really love your style & the feel that these images have! 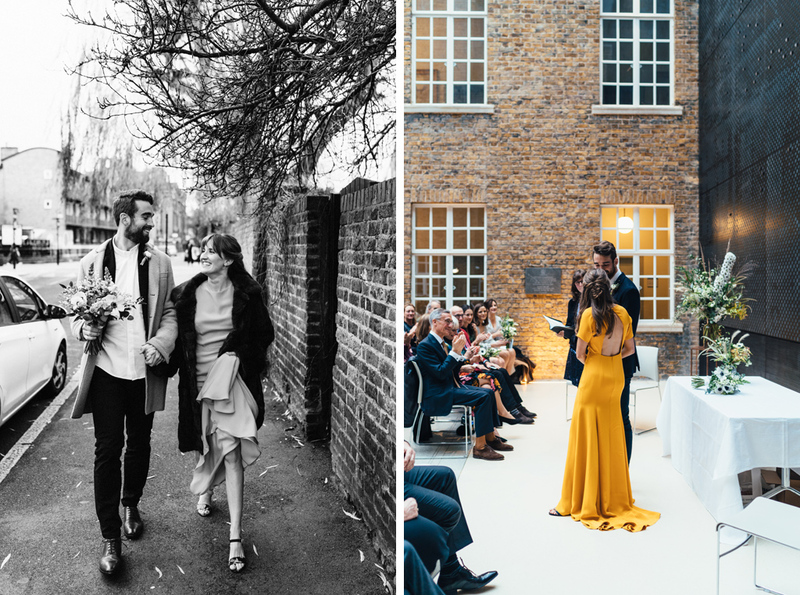 Her yellow wedding dress is flipping epic! 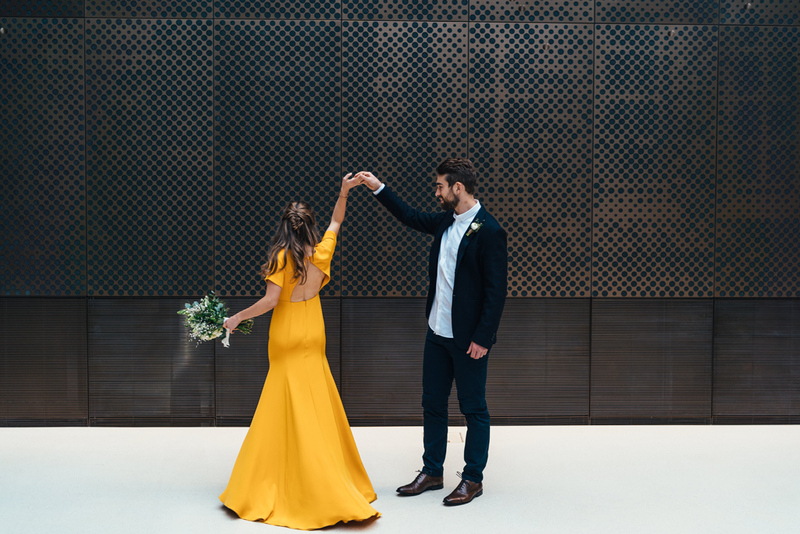 What a great choice – these photos are stunning. Wow, great set of photos. Love that dress! Yes to the dress! Beautiful work. 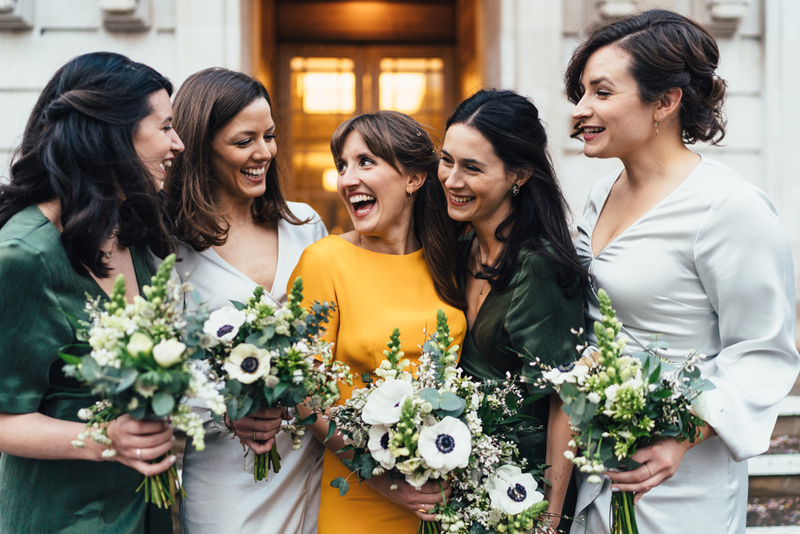 Love this collection of images and as other people have commented, her dress is amazing!! 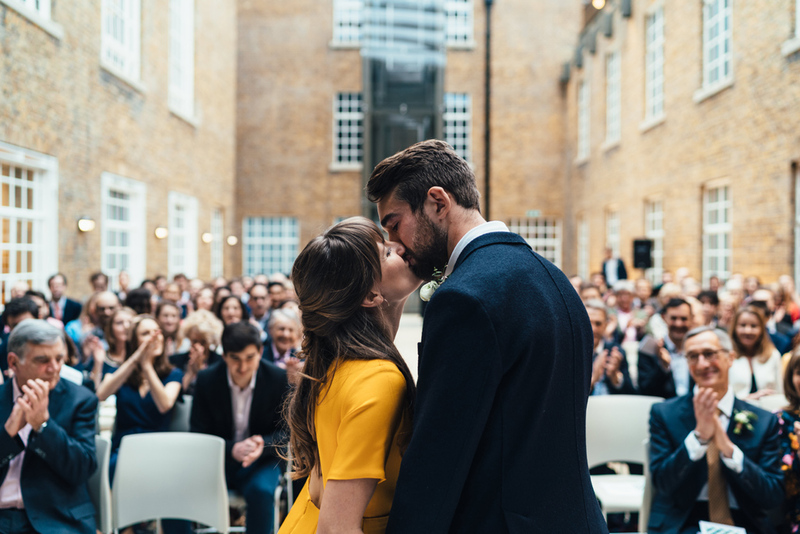 This was the wedding I was looking forward to seeing That dress is INSANE. Nailed it. Intimate and honest. Really nice frames of a relaxed and wonderful day. I *LOVE* your editing!! !